Of all the updates to apps and services that Google unveiled today at its I/O conference, its Chrome Racer demo wasn't the most complex, or grandiose or important thing on display. But it was definitely my favorite. In a nutshell, Chrome Racer allows you to take multiple mobile devices running the Chrome browser -- phones and tablets on iOS and Android, basically -- align the screens and play the web-based racing game across all of them. All the players control their cars from their individual device. And it's something you can try for yourself right now. 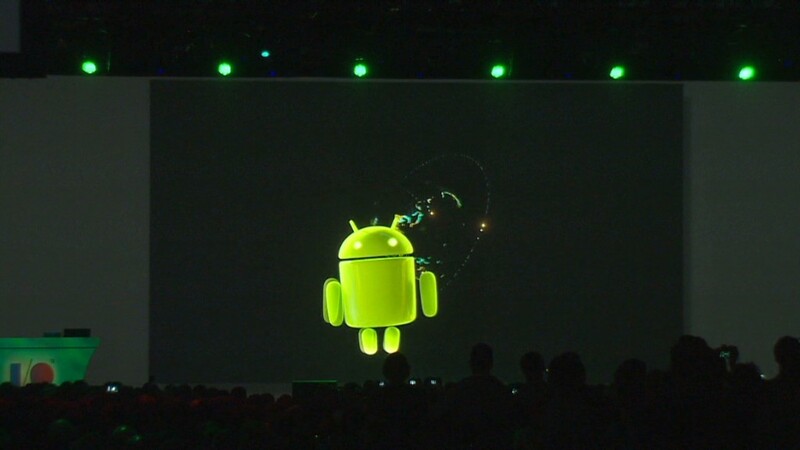 Even if it wasn't the most important demo in terms of the future of Google, it was not without merit. It wasn't just fun, but its ability to sync action between multiple devices using a browser was impressive. But the idea behind Chrome Racer can be so much more than just games. Imagine a day where we'll be able to link displays together on the fly (something concept designers have imagined before). Someday, when the bezels around tablet screens shrink down to nothing, we'll be linking our tablets together to form mega-displays, making our little 7-inch and 10-inch rectangles even more functional. What made today's demo so great is that it offered us a glimpse at that future.